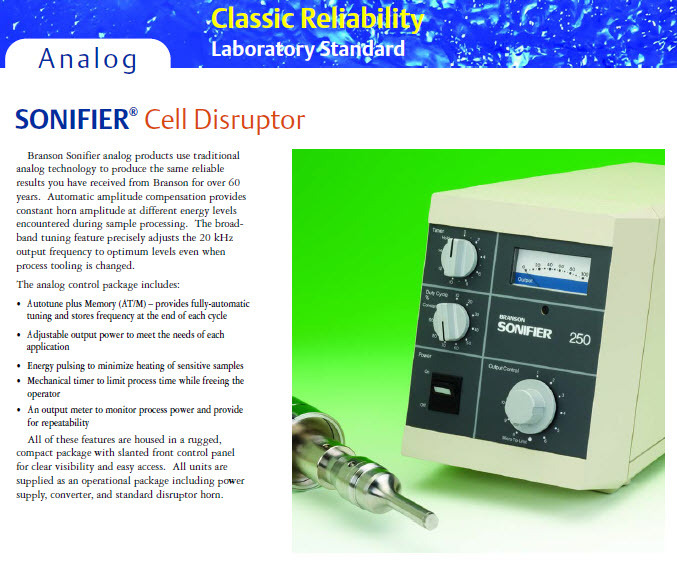 Versatile laboratory tools designed to apply high-frequency ultrasonic Energy. Sonifiers® are capable of processing static samples as small as 1ml to larger than 500 ml or flowing material up to 40l/hr. Analog Sonifiers® are available in two power levels. Digital units are offered in three power levels and are designed for applications that need higher levels of process control or parameter measurement.